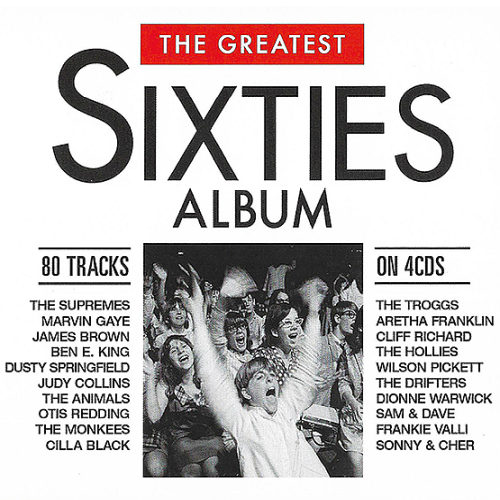 Date: 23.04.2018 | Disco, RnB, Pop, Blues, Rock, Jazz | Tags: Warner Music, Rhino Records, The Greatest, Sixties Album, 60s, Aretha Franklin, Buffalo Springfield, Ben E. King, The Monkees, James Brown | Download The Greatest Sixties Album (2018) for free. Often considered the most important decade of the twentieth century, the 1960s provided some of the most iconic music ever! The only Sixties album you’ll ever need! Through the years, Rhino also became involved in social and environmental issues, fostering ethical practices in its day-to-day business, supporting numerous charitable groups, and promoting community service by Rhino employees. Throughout the changes weve undergone, the spirit and commitment of Rhino remain the same as the day we started. The Greatest Sixties Album explores the best of this historic era, from the final moments of Rock N Roll to one of the greatest eras of pop ever, we include The Animals, Marvin Gaye and many more.